I had a camera disaster while we were in Banff - I lost its HDMI cord. And must order a new one from the manufacturer. Which must be mailed somewhere - Nova Scotia, I suppose. Meanwhile I must improvise with a remote charger. The result of this sad story is that I don't have many pictures of Banff and area. 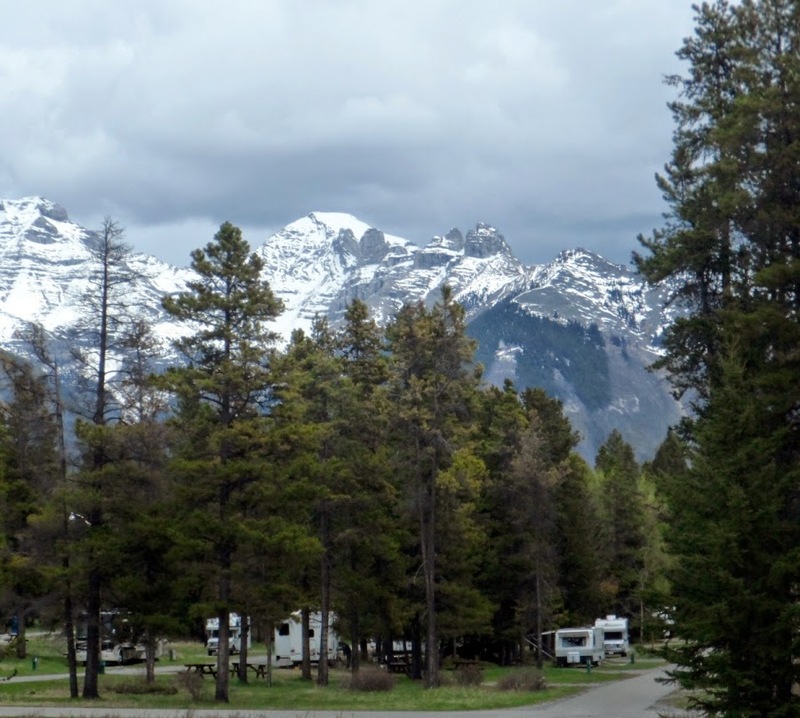 We stayed at the Tunnel Mountain Trailer Park - Parks Canada's name for an RV Park. Nice sites with full services. When you choose a site on the reservation service look for one that faces south if possible. Banff National Park was Canada's first national park and the world's third. Spanning 6,641 square kilometres (2,564 square miles) of valleys, mountains, glaciers, forests, meadows and rivers, it is one of the world's premier destination spots. As a result, both Banff and Lake Louise are very busy and crowded in the summer, so plan your visit accordingly. In Lake Louise there is over-flow parking on the highway - and a good bus service to transport you from site to site. Banff also has a good public bus service. I suggest you start your visit at the park information centre in either Banff or Lake Louise. There is so much to do and see you need to take some time to orient yourself to the park and its services. And watch any movies that are playing. The one we saw provided a lot of useful information about enjoying the park safely and in an ecologically friendly way. If you are a hiker there are endless hiking trails. If you cycle the bike trail from the eastern park entrance to Banff is amazing. If you are a fan of the arts there is the Banff Centre for the Arts. If you golf there is a wonderful golf course. Kayaking and canoeing, yes. And on and on. 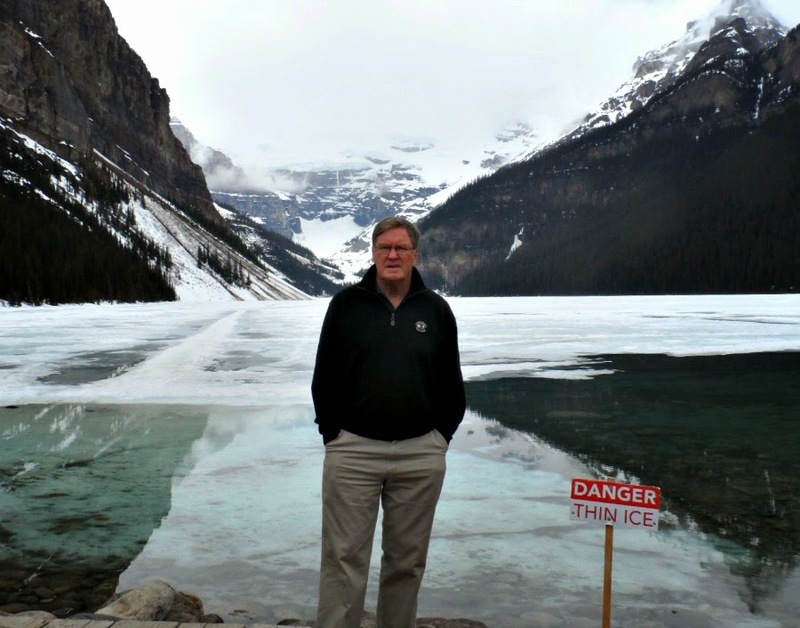 We drove the Bow Valley Parkway (great to cycle as well) from Banff to Lake Louise. The scenery is mostly rocks and trees but it provides access to many interesting hikes and view points. I recommend you take a day for this drive and stop at all the historical markers and especially go to Johnston Canyon. Spectacular. If you are able you must do this hike. Another "must do" is a visit to the Chateau Lake Louise in its spectacular mountain setting. It is so beautiful. Even with the ice and snow that was on the lake when we were there it was really beautiful. I also suggest that, even if you visit in mid-summer, take some warm clothing. The park staff call this area "Canada's Icebox" and it can be chilly. It was a late spring this year and we were there mid-May which explains the ice. But, 40 years ago, we were there in the middle of July and I remember finding it cold. So go prepared. But go. I am afraid this is all I have Pam. Between the weather (it rained 2 days out of three) and the fact that we were about 2 weeks behind schedule we only spent 3 days in Banff. It would take at least a week to do his area justice. I suggest you go to the park's visitor centres and talk to the rangers. They have lots of great hiking guides, etc.